Pack Size: This pack contains 1kg|3kg powder. MuscleBlaze Bulk Gainer Chocolate with DigeZyme is a high-calorie gainer for bodybuilders and gym enthusiasts. 2 servings of MuscleBlaze Bulk Gainer aids to deliver 1123 additional calories over well-balanced meals in a nutrition-rich package. The daily allowance of 54g proteins and 214g carbohydrates in the ratio of 1:4 ensures that the bodybuilders is never low on energy and has ample amino acids readily available to trigger new muscle synthesis. Benefits: MuscleBlaze Bulk Gainer Chocolate comes with 27 vitamins and minerals that aid to fill in the dietary micronutrient deficiencies and help build energy and immunity in the bodybuilders so that you could push harder through the last reps and are able to recover quickly after an intense workout session. 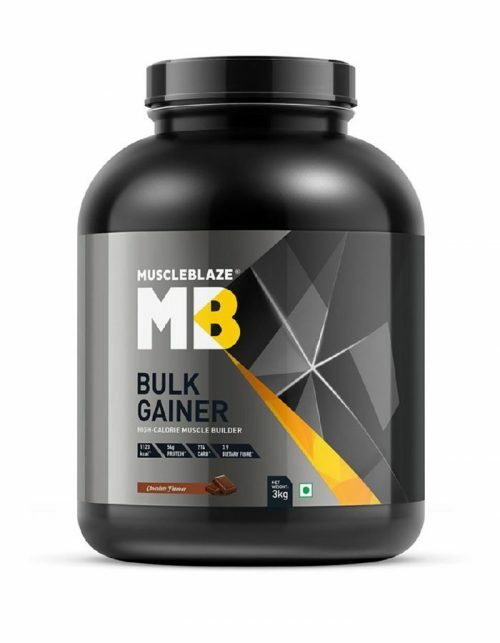 The tempting rich chocolate flavour makes MuscleBlaze Bulk Gainer is a mouth-watering treat and a well-deserved reward for the hard work at the gym. The presence of digestive enzymes improves protein and carb digestion and reduces unpleasant episodes of bloating. 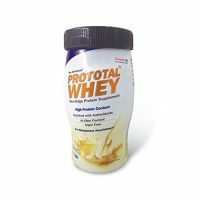 Ingredients: Maltodextrin, Whey Protein Concentrate, Dairy whey powder, Barley malt extract, Cocoa Powder, Calcium Caseinate, Milk Protein Isolate, Medium chain triglyceride powder, Minerals, Soy Lecithin, L-Glutamine, Stabilizer (INS 415), Digezyme, Vitamins. Mix two level scoops (150g) of MuscleBlaze Bulk Gainer 6.6 lb Chocolate in 200ml – 250ml water/milk. Blend for 45-60 seconds to get a thick and creamy shake. MuscleBlaze Bulk Gainer offers 1123 additional calories from quality nutrients, such as high-quality proteins and complex carbs. 1:4 ratio of proteins and carbs ensures a steady supply of amino acids and glycogen for building muscles and energy. 27 vitamins and minerals build energy and immunity in the gym enthusiast. It¢s a well-known fact that intense workouts reduce your immunity. Additional energy from MuscleBlaze Bulk Gainer helps sustain longer workouts. The blend of digestive enzymes eliminates chances of bloating and improves the rate of protein digestion.